Conference Presentation Handouts in our special Bahamas Getaway Conference Area! Membership Has Its Privileges... Join Today! Join NBCA and enjoy bonus downloads and discounts! 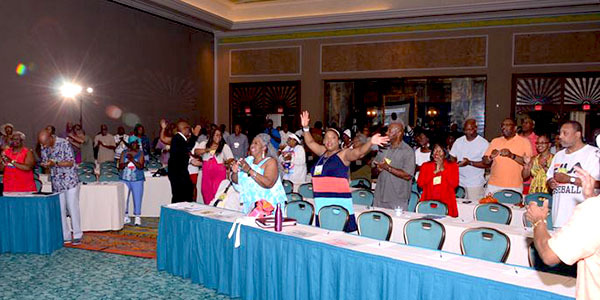 Click "Join NBCA" to complete your membership form..
We are praising God for a high impact, successful conference! 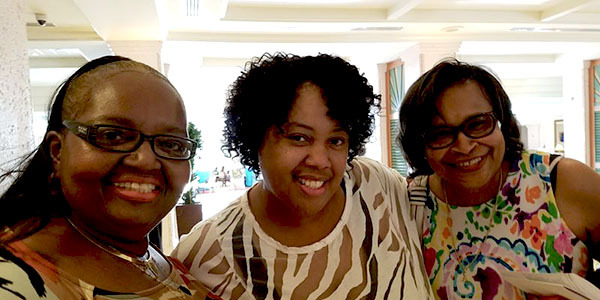 The Conference delivered fun in the sun, water adventures, life-changing training and a chance to fellowship with other singles. Couples reconnected with each other, rekindled the flame and spent time learning how to practice real love. 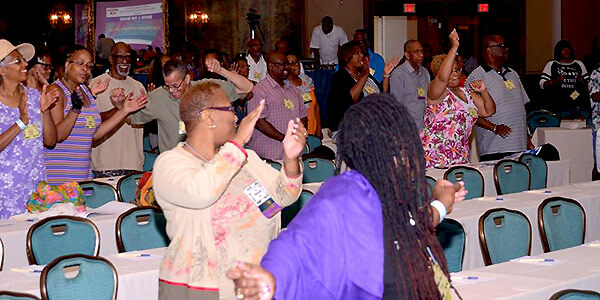 Attendees had a chance to shake off their travel cobwebs to the song “Happy” just before the opening session. Some famous people were in the house. President Barak Obama, First Lady Michelle Obama, Dianna Ross, Stephen Curry and Lebron James, just to name a few. Okay, well not quite but close when attendees played the “Guess Who” ice breaker game during the Welcome Reception. “Hello My Name Is” tags were placed on each person’s back and there was fun and laughter to be had as they worked the room gathering clues from other attendees as to who they could possibly be. Everyone really enjoyed the lively music, sweet fellowship and tasty hors d’ oeuvres during the kick off night of the conference. There were a host of workshops and general session that covered everything from living to please God, to how to manage your finances, to taking care of your temple. 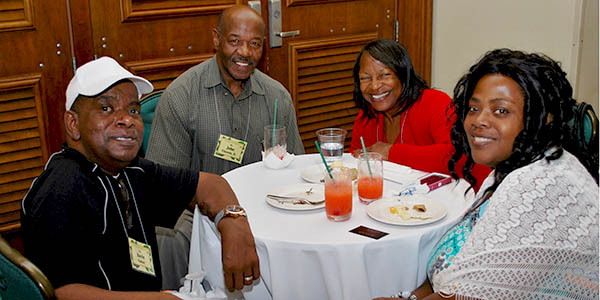 Attendees enjoyed loads of free time to relax, have some fun in the sun, spend time with their honey, get to fellowship with other singles and explore all that the Atlantis had to offer! The All White Banquet for Singles and Married Couples was enjoyed by all. 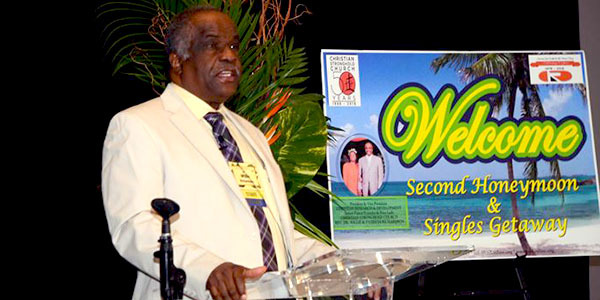 Everyone looked lovely in their white and the splashes of color added excitement and originality to the nights events as a steel drum player welcomed attendees to the banquet area. Married Couples got to experience their mates in a romantic setting as they enjoyed dinner, music and a powerful message all while seated at their table for two decked out with a single red rose and an intimate question just for them to discuss over dinner. Their evening was capped off with a renewal of vows ceremony and being serenaded by Willie Mae Haynes who sang “At Last”. 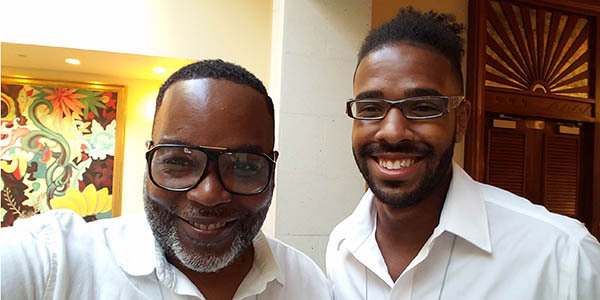 Relationships Contaminated by Contempt Need To Be Detoxed…Because Relationships Matter – by Pastor Haman Cross, Jr. Following is the full listing of the session titles, speakers and information on how you can still get the training for yourself. A Man After God’s Own Heart – by Pastor Christopher A. Bell, Sr. Please visit our online store to download the MP3 of any or all of sessions to add to your resource library.